Jaguar Riverside proudly offers this beautiful Brand New 2019 Jaguar I-PACE S in Santorini Black Metallic over an Ebony interior with 18 miles. The I-PACE is powered by dual electric motors with a 90 kWh battery pack producing 394 hp and 512 lb-ft of torque through All-Wheel Drive and a Single-Speed Automatic Transmission. This I-PACE is further enhanced with the following: Black Exterior Pack (Black Exterior Styling Accents) Santorini Black Metallic Paint Premium Interior Protection Pack Ebony Morzine Headlining Chrome Wheel Lock Pack Basic Rear Seat Convenience Pack Car Care Kit Jaguar Riverside is a member of the indiGO Auto Group. Our dealership features a beautiful Jaguar Corporate Identity showroom, fully staffed factory certified service center, parts department, finance department, detail department, and Jaguar accessories boutique. Allow us to help arrange transportation of your new car directly to your home anywhere in the world. Trade-in proposals are always welcome. If you like this vehicle and have questions, simply call, email, or drop by our location at 8051 Auto Drive, Riverside, CA 92504. We invite you to Activate Your Ownership with us today! Jaguar Rancho Mirage proudly offers this beautiful Brand New 2019 Jaguar I-PACE S in Indus Silver over an Ebony interior with 19 miles. The I-PACE S is powered by an electric ZEV engine producing 394 hp and 512 lb-ft of torque through All-Wheel Drive and an 8-Speed Automatic Transmission. This I-PACE S is further enhanced with the following: 8-Way Heated Front Sport Seats w/ Heated Rear Seats Premium LED Headlights w/ Signature DRL & AHBA Indus Silver Metallic Paint Premium Interior Protection Pack Powered Tailgate Chrome Wheel Lock Pack Basic Rear Seat Convenience Pack Headlight Power Wash Cabin Air Ionization Front Fog Lights Car Care Kit Jaguar Rancho Mirage is a member of the indiGO Auto Group. Our dealership features a beautiful Jaguar Corporate Identity showroom, fully staffed factory certified service center, parts department, finance department, detail department, and Jaguar accessories boutique. Allow us to help arrange transportation of your new car directly to your home anywhere in the world. Trade-in proposals are always welcome. If you like this vehicle and have questions, simply call, email, or drop by our location at 71387 Highway 111, Rancho Mirage, CA 92270. We invite you to Activate Your Ownership with us today! Jaguar Riverside proudly offers this beautiful Brand New 2019 Jaguar I-PACE SE in Caesium Blue over a Light Oyster interior with 18 miles. The I-PACE is powered by dual electric motors with a 90 kWh battery pack producing 394 hp and 512 lb-ft of torque through All-Wheel Drive and a Single-Speed Automatic Transmission. This I-PACE is further enhanced with the following: Caesium Blue Metallic Paint Premium Interior Protection Pack Meridian Surround Sound System (825W) Chrome Wheel Lock Pack Basic Rear Seat Convenience Pack for Integrated Click & Go Cabin Air Ionization Car Care Kit Jaguar Riverside is a member of the indiGO Auto Group. Our dealership features a beautiful Jaguar Corporate Identity showroom, fully staffed factory certified service center, parts department, finance department, detail department, and Jaguar accessories boutique. Allow us to help arrange transportation of your new car directly to your home anywhere in the world. Trade-in proposals are always welcome. If you like this vehicle and have questions, simply call, email, or drop by our location at 8051 Auto Drive, Riverside, CA 92504. We invite you to Activate Your Ownership with us today! Jaguar Riverside proudly offers this beautiful Brand New 2019 Jaguar I-PACE SE in Firenze Red over a Siena Tan/Ebony interior with 18 miles. The I-PACE is powered by dual electric motors with a 90 kWh battery pack producing 394 hp and 512 lb-ft of torque through All-Wheel Drive and a Single-Speed Automatic Transmission. This I-PACE is further enhanced with the following: 14-Way Heated & Cooled Memory Front Performance Seats w/ Heated Rear Siena Tan Windsor Leather Seats Firenze Red Metallic Paint Gloss Black Side Window Surround Jaguar Riverside is a member of the indiGO Auto Group. Our dealership features a beautiful Jaguar Corporate Identity showroom, fully staffed factory certified service center, parts department, finance department, detail department, and Jaguar accessories boutique. Allow us to help arrange transportation of your new car directly to your home anywhere in the world. Trade-in proposals are always welcome. If you like this vehicle and have questions, simply call, email, or drop by our location at 8051 Auto Drive, Riverside, CA 92504. We invite you to Activate Your Ownership with us today! Jaguar Riverside proudly offers this beautiful Brand New 2019 Jaguar I-PACE SE in Farallon Black over a Siena Tan/Ebony interior with 18 miles. The I-PACE is powered by dual electric motors with a 90 kWh battery pack producing 394 hp and 512 lb-ft of torque through All-Wheel Drive and a Single-Speed Automatic Transmission. This I-PACE is further enhanced with the following: 14-Way Heated & Cooled Memory Front Performance Seats w/ Heated Rear Farallon Pearl Black Premium Metallic Paint Siena Tan Windsor Leather Seats Gloss Black Side Window Surround Jaguar Riverside is a member of the indiGO Auto Group. Our dealership features a beautiful Jaguar Corporate Identity showroom, fully staffed factory certified service center, parts department, finance department, detail department, and Jaguar accessories boutique. Allow us to help arrange transportation of your new car directly to your home anywhere in the world. Trade-in proposals are always welcome. If you like this vehicle and have questions, simply call, email, or drop by our location at 8051 Auto Drive, Riverside, CA 92504. We invite you to Activate Your Ownership with us today! Jaguar Riverside proudly offers this beautiful Brand New 2019 Jaguar I-PACE HSE in Caesium Blue over a Light Oyster/Ebony interior with 27 miles. The I-PACE is powered by dual electric motors with a 90 kWh battery pack producing 394 hp and 512 lb-ft of torque through All-Wheel Drive and a Single-Speed Automatic Transmission. This I-PACE is further enhanced with the following: Caesium Blue Metallic Paint 20" 5 Split-Spoke Style 5070 Technical Grey Polished Wheels Heated Steering Wheel Monogram Aluminum Trim Finisher Reduced Section Alloy Spare Wheel Front Fog Lights Jaguar Riverside is a member of the indiGO Auto Group. 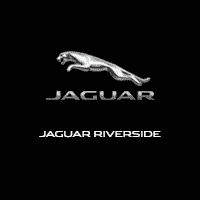 Our dealership features a beautiful Jaguar Corporate Identity showroom, fully staffed factory certified service center, parts department, finance department, detail department, and Jaguar accessories boutique. Allow us to help arrange transportation of your new car directly to your home anywhere in the world. Trade-in proposals are always welcome. If you like this vehicle and have questions, simply call, email, or drop by our location at 8051 Auto Drive, Riverside, CA 92504. We invite you to Activate Your Ownership with us today! Jaguar Riverside proudly offers this beautiful Brand New 2019 Jaguar I-PACE SE in Fuji White over a Light Oyster/Ebony interior with 18 miles. The I-PACE is powered by dual electric motors with a 90 kWh battery pack producing 394 hp and 512 lb-ft of torque through All-Wheel Drive and a Single-Speed Automatic Transmission. This I-PACE is further enhanced with the following: 14-Way Heated & Cooled Memory Front Performance Seats w/ Heated Rear 360 Degree Surround Camera Light Oyster Windsor Leather Seats Illuminated Metal Treadplates w/ "Jaguar" Script Heated Windshield Heated Steering Wheel Chrome Wheel Lock Pack Cabin Air Ionization Heated Washer Jets Front Fog Lights Fuji White Solid Paint Jaguar Riverside is a member of the indiGO Auto Group. Our dealership features a beautiful Jaguar Corporate Identity showroom, fully staffed factory certified service center, parts department, finance department, detail department, and Jaguar accessories boutique. Allow us to help arrange transportation of your new car directly to your home anywhere in the world. Trade-in proposals are always welcome. If you like this vehicle and have questions, simply call, email, or drop by our location at 8051 Auto Drive, Riverside, CA 92504. We invite you to Activate Your Ownership with us today! Jaguar Riverside proudly offers this beautiful Brand New 2019 Jaguar I-PACE SE in Santorini Black over an Ebony interior with 19 miles. The I-PACE is powered by dual electric motors with a 90 kWh battery pack producing 394 hp and 512 lb-ft of torque through All-Wheel Drive and a Single-Speed Automatic Transmission. This I-PACE is further enhanced with the following: Driver Assist Pack (Adaptive Cruise Control w/ Steering Assist, 360 Degree Surround Camera) 14-Way Heated & Cooled Memory Front Performance Seats w/ Heated Rear Head-Up Display Ebony Windsor Leather Seats Adaptive Dynamics 20" 5 Spoke Style 5068 Gloss Black Wheels Santorini Black Metallic Paint Heated Windshield Chrome Wheel Lock Pack Adaptive Surface Response (AdSR) Heated Washer Jets Front Fog Lights Powered Gesture Tailgate Car Care Kit Jaguar Riverside is a member of the indiGO Auto Group. Our dealership features a beautiful Jaguar Corporate Identity showroom, fully staffed factory certified service center, parts department, finance department, detail department, and Jaguar accessories boutique. Allow us to help arrange transportation of your new car directly to your home anywhere in the world. Trade-in proposals are always welcome. If you like this vehicle and have questions, simply call, email, or drop by our location at 8051 Auto Drive, Riverside, CA 92504. We invite you to Activate Your Ownership with us today! Jaguar Riverside proudly offers this beautiful Brand New 2019 Jaguar I-PACE SE in Santorini Black over an Ebony interior with 20 miles. The I-PACE is powered by dual electric motors with a 90 kWh battery pack producing 394 hp and 512 lb-ft of torque through All-Wheel Drive and a Single-Speed Automatic Transmission. This I-PACE is further enhanced with the following: Driver Assist Pack (Adaptive Cruise Control w/ Steering Assist, 360 Degree Surround Camera) 14-Way Heated & Cooled Memory Front Performance Seats w/ Heated Rear Head-Up Display Ebony Windsor Leather Seats Adaptive Dynamics 20" 5 Spoke Style 5068 Gloss Black Wheels Santorini Black Metallic Paint Heated Windshield Chrome Wheel Lock Pack Adaptive Surface Response (AdSR) Heated Washer Jets Front Fog Lights Powered Gesture Tailgate Car Care Kit Jaguar Riverside is a member of the indiGO Auto Group. Our dealership features a beautiful Jaguar Corporate Identity showroom, fully staffed factory certified service center, parts department, finance department, detail department, and Jaguar accessories boutique. Allow us to help arrange transportation of your new car directly to your home anywhere in the world. Trade-in proposals are always welcome. If you like this vehicle and have questions, simply call, email, or drop by our location at 8051 Auto Drive, Riverside, CA 92504. We invite you to Activate Your Ownership with us today! Jaguar Riverside proudly offers this beautiful Brand New 2019 Jaguar I-PACE SE in Santorini Black over an Ebony interior with 16 miles. The I-PACE is powered by dual electric motors with a 90 kWh battery pack producing 394 hp and 512 lb-ft of torque through All-Wheel Drive and a Single-Speed Automatic Transmission. This I-PACE is further enhanced with the following: Driver Assist Pack (Adaptive Cruise Control w/ Steering Assist, 360 Degree Surround Camera) 14-Way Heated & Cooled Memory Front Performance Seats w/ Heated Rear Head-Up Display Ebony Windsor Leather Seats Adaptive Dynamics 20" 5 Spoke Style 5068 Gloss Black Wheels Santorini Black Metallic Paint Heated Windshield Chrome Wheel Lock Pack Adaptive Surface Response (AdSR) Heated Washer Jets Front Fog Lights Powered Gesture Tailgate Car Care Kit Jaguar Riverside is a member of the indiGO Auto Group. Our dealership features a beautiful Jaguar Corporate Identity showroom, fully staffed factory certified service center, parts department, finance department, detail department, and Jaguar accessories boutique. Allow us to help arrange transportation of your new car directly to your home anywhere in the world. Trade-in proposals are always welcome. If you like this vehicle and have questions, simply call, email, or drop by our location at 8051 Auto Drive, Riverside, CA 92504. We invite you to Activate Your Ownership with us today! Jaguar Riverside proudly offers this beautiful Brand New 2019 Jaguar I-PACE HSE in Corris Gray over an Ebony interior with 19 miles. The I-PACE is powered by dual electric motors with a 90 kWh battery pack producing 394 hp and 512 lb-ft of torque through All-Wheel Drive and a Single-Speed Automatic Transmission. This I-PACE is further enhanced with the following: Cold Climate Package (Heated Steering Wheel & Heated Front Windshield incl. Washer Jets) 22" 5 Split-Spoke Style 5056 Diamond Turned Wheels Head-Up Display Adaptive Dynamics Corris Grey Metallic Paint Illuminated Metal Treadplates w/ "Jaguar" Script Configurable Ambient Interior Lighting Chrome Wheel Lock Pack Activity Key Adaptive Surface Response (AdSR) Lockable Cooled Glovebox Car Care Kit Jaguar Riverside is a member of the indiGO Auto Group. Our dealership features a beautiful Jaguar Corporate Identity showroom, fully staffed factory certified service center, parts department, finance department, detail department, and Jaguar accessories boutique. Allow us to help arrange transportation of your new car directly to your home anywhere in the world. Trade-in proposals are always welcome. If you like this vehicle and have questions, simply call, email, or drop by our location at 8051 Auto Drive, Riverside, CA 92504. We invite you to Activate Your Ownership with us today! Jaguar Riverside proudly offers this beautiful Brand New 2019 Jaguar I-PACE HSE in Yulong White over a Ebony interior with 312 miles. The I-PACE is powered by dual electric motors with a 90 kWh battery pack producing 394 hp and 512 lb-ft of torque through All-Wheel Drive and a Single-Speed Automatic Transmission. This I-PACE is further enhanced with the following: Black Exterior Pack (Black Exterior Styling Accents) 22" 5 Spoke Style 5069 Gloss Black DT Wheels w/ CF Inserts Head-Up Display Adaptive Dynamics Yulong White Metallic Paint Premium Interior Protection Pack Click & Go Integrated Base Unit Configurable Ambient Interior Lighting Chrome Wheel Lock Pack Activity Key Adaptive Surface Response (AdSR) Basic Rear Seat Convenience Pack for Integrated Click & Go Front Fog Lights Lockable Cooled Glovebox Cabin Air Ionization Car Care Kit Jaguar Riverside is a member of the indiGO Auto Group. Our dealership features a beautiful Jaguar Corporate Identity showroom, fully staffed factory certified service center, parts department, finance department, detail department, and Jaguar accessories boutique. Allow us to help arrange transportation of your new car directly to your home anywhere in the world. Trade-in proposals are always welcome. If you like this vehicle and have questions, simply call, email, or drop by our location at 8051 Auto Drive, Riverside, CA 92504. We invite you to Activate Your Ownership with us today! Jaguar Riverside proudly offers this beautiful Brand New 2019 Jaguar I-PACE First Edition in Santorini Black over an Ebony interior with 17 miles. The I-PACE is powered by dual electric motors with a 90 kWh battery pack producing 394 hp and 512 lb-ft of torque through All-Wheel Drive and a Single-Speed Automatic Transmission. This I-PACE is further enhanced with the following: 22" 5 Spoke Style 5069 Gloss Black DT Wheels w/ CF Inserts Santorini Black Metallic Paint Ebony Suedecloth Headlining Jaguar Riverside is a member of the indiGO Auto Group. Our dealership features a beautiful Jaguar Corporate Identity showroom, fully staffed factory certified service center, parts department, finance department, detail department, and Jaguar accessories boutique. Allow us to help arrange transportation of your new car directly to your home anywhere in the world. Trade-in proposals are always welcome. If you like this vehicle and have questions, simply call, email, or drop by our location at 8051 Auto Drive, Riverside, CA 92504. We invite you to Activate Your Ownership with us today!